What do home sellers want? To sell their homes for the highest price in the least amount of time. Without a doubt, that's our goal too. Statistics have shown, time and again: residential staging consistently provides sellers (and agents) with the competitive advantage. How do we do this? 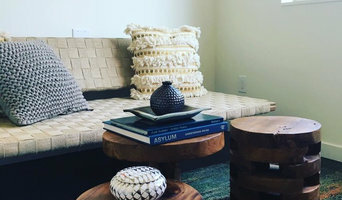 By styling and decorating the home in ways which help prospective buyers to connect emotionally with a home. Our professional design team brings more than 75 combined years of experience to each project. We have a keen understanding of all aspects of interior design: spatial relationships, the proper use of color & light, the nuances of texture and surface, tasteful furniture and lighting in a variety of styles, we use only eye-catching accessories, and have an in-house collection of original art and appropriate antiques. Rosichelli Design will also design your home's interior to minimize any of the home's flaws and maximize all of its strengths. While it may not always be easy to see one's home turned into a market commodity, the reward we provide for sellers is very clear to see at closing time. Let us go to work for you. Located in Seattle, Andrea Braund Home Staging and Design believes that a home in the luxury market must appeal to the high end home buyer. Our goal through the staging and design process is to generate a feeling of quality from the moment you enter a home. We want to take you through a visual experience which we create through our distinct designs, customized for each home and client. We take pride in every project we commit to, and strive to offer our clients the finest professional service available in Home Staging and Interior Design. My name is Joké, Founder and Design Consultant at Genesis. Two decades of experience in Digital Design and as a Real Estate Broker in the Seattle area have prepared me well for taking on my natural talent and passion for enhancing homes as an Accredited Staging Professional. Having represented several home buyers as well as buying and selling properties of my own, I learned first-hand the psychology, art and business of home selling. Understanding what appeals to the demography that makes up your target market means I am able to capture your ideal buyer with a home thoughtfully staged with them in mind. My true passion lies in making a positive impact on everything I touch and everyone I meet. Working with sellers to enhance and optimize their home sale; using creative space planning and design to connect buyers with their dream homes and adding value to the business of Realtors; allow me the privilege of doing what I enjoy the most. Genesis is all about giving you one less thing to worry about in the often anxious process of getting your home ready for the unknown buyer. We use your existing furnishing and/or our thoughtfully curated collection to create a lifestyle experience that buyers can relate to as their new home. You only get one chance to make a first impression, I look forward to working with you to make your home a lasting impression! A "Best of Houzz 2013, 2015, 2016, 2017 and 2018" service winner, Greene Designs is a Home Staging company who believes every relationship matters. We provide Home Staging services for those who seek innovative designs and a fresh style. About Tiffany: Nationally-certified by Certified Decorators International (CIDI) Studied under internationally-acclaimed designer, author, media personality and educator, Mary Gilliatt. Certified Green Accredited Professional by Sustainable Furnishings Council Hunter Douglas Certified Priority Dealer Feel free to reach out to us, we would love to hear from you! At Alchemy Staging & Design, we are vacant home staging specialists. We feel strongly that staging is no longer a luxury, but rather an investment that will help your home sell faster, maximize your offers and make the selling process less stressful for you. We focus on showcasing the best features of your home in order to help the buyer connect emotionally . Beautiful staging allows the buyer to visualize what their life could look like if they purchase your home and encourages them to make an offer! Another important aspect of our work is to prepare your home so that it shows in it's very best light when professional photos are taken. Since most buyers today begin their search online, this is of utmost importance. Our Design Team has over 20 years of Real Estate and Staging experience which will be evident when you take a look at our gorgeous design portfolio and read our rave reviews from clients and brokers. Inspiring, innovative and influential... From inception, KCD Staging has approached interior spaces with both the client and comfort in mind. Our designs are unique, individual expressions of modern living, Infused with luxury, grace and moxie. Karen Cervarich is the owner of KCD Staging, a top home staging company servicing the Greater Seattle Area. She has over 12 years of experience in the Interior Design Industry and has specifically tailored her business to staging homes for the Real Estate Market. Selling a home can be pretty intimidating, my goal is to help you showcase your home in style and help you attract the perfect buyer who will fall in love at first sight! Seattle Area Home Stager & Interior Designer Best of Houzz 2014-2018! We have been staging homes for the Real Estate market since 2009 and both Paulina and Lilian are certified Home Stagers. Room by Room was born out of the need to expand; we have access to top vendors for our furniture and regularly purchase additional decor to supplement our ample inventory. Our business strategies includes great attention to detail, excellent organization skills and a strong work ethics. Our crew is enthusiastic and creative and the owners are involved in the daily operation of the business. This allows us to communicate with our client (Real Estate Broker or Home Owner) and keep their requirements in mind at all times. We specialize in home staging of vacant home in home styles and price points. Our number one goal is to get your home completely stylized so that it will sell quickly and for a higher profit. We work everyday with Realtors, investors and home owners in the greater Seattle area and would love the opportunity to work for you. We are experienced and knowledgeable in finding the potential in every home and dramatically showcasing it with our extensive design experience. Atwil Design is your one stop shop for preparing your home to be sold. We utilize our skills in interior design and commercial photography to prepare your home to be market ready. Atwil Design is run by a young couple who grew up in the Seattle area. We know our market and we know this city. We offer a wide variety of services from full stages, to partial stages, to consultations, to real estate photography. And if you're not selling your home but just looking for a face lift, we also do interior design. As seasoned real estate brokers here in the Greater Seattle area we understand the value of professionally staging a home to ensure it looks it’s very best from the beginning and maximizing a home’s value. 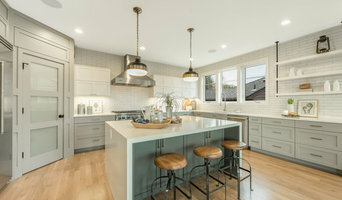 To continue our efforts to provide the most comprehensive real estate services here in the Northwest, including Seattle, the Eastside, and King / Snohomish Counties we’ve expanded our portfolio to include Home Staging Services. The benefit to you is that you will secure not only the home design skills of a Professional Home Stager but the combined experience of a long-time real estate professional to ensure all aspects of making your home look it’s very best! Ruby Lane Home Staging & Design Services is a Licensed, Bonded and Certified, Home Staging Company located in Woodinville, Washington. The Home Stylist or Stager works to prepare your Seattle, WA home for the Washington real estate market. Find a home stylist or stager on Houzz. Narrow your search in the Professionals section of the website to Seattle, WA home stylists. You can also look through Seattle, WA photos by style to find a room you like, then contact the professional who styled it.